Americans throughout the state of California are looking for new ways to celebrate the nation’s birthday and an increasing number of them are taking their families rafting for the holiday. The Kern River in Southern California offers celebrants a fabulous venue to enjoy the great outdoors for the Fourth of July. All three sections of the Kern River – the Upper, Lower, and Forks of the Kern – are running at summer levels that haven’t been seen since 2006. These water flows are allowing whitewater enthusiasts an opportunity to raft the entire river at ideal conditions. Visitors to the Kern Valley will also be treated to an exceptional fireworks display over Lake Isabella the evening of July 3rd. 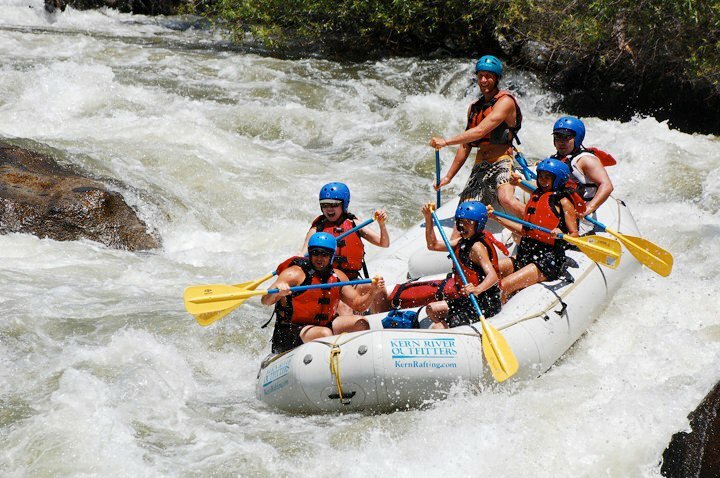 The Kern River Valley offers visitors a wide range of recreational opportunities in addition to rafting. Side hikes to giant sequoia groves, golf, fishing, and boating on Lake Isabella are just some of the activities that are available. For more information on rafting trips or other opportunities for family oriented fun in the Kern Valley, contact Kern River Outfitters at 1-800-323-4234 or visit their website at http://www.KernRafting.com.